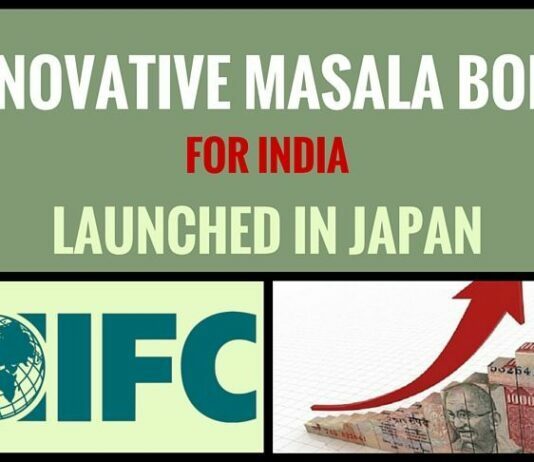 IFC, a member of the World Bank Group, has launched its first Uridashi Masala Bond, mobilising Rs.300 million ($4.3 million) directly from Japanese household investors to promote private sector development in India. The three-year bond builds on IFC's pioneering Masala bond programme, which has raised the equivalent of $1.7 billion from international investors for investment in India, IFC said in announcement from Tokyo. Masala bonds are rupee-denominated instruments sold only to offshore investors, while Uridashi bonds are sold to Japanese household investors. Proceeds from IFC's Uridashi Masala bonds will be used to support private sector investment in India.